Well school has started for the kids-now girls weekends can get into full gear! Labor Day weekend is just around the corner-and Canton Trades Days is the same weekend!! There are a few things going on in the area that we will highlight-the biggest on is a Concert called “Country for Our Country” to benefit our soldiers! A farce about a romantic weekend in the country that goes badly awry as unexpected complications arise. Begin Friday September 3 thru September 12. 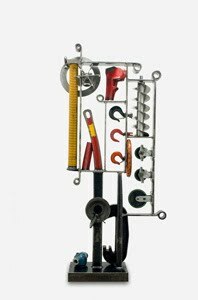 Form & Substance Sculpture by Texas artist George Tobolowsky. The monthly 1st Tuesday in the Garden lecture series, an educational program sponsored by the Smith County Master Gardeners, in the I.D.E.A. 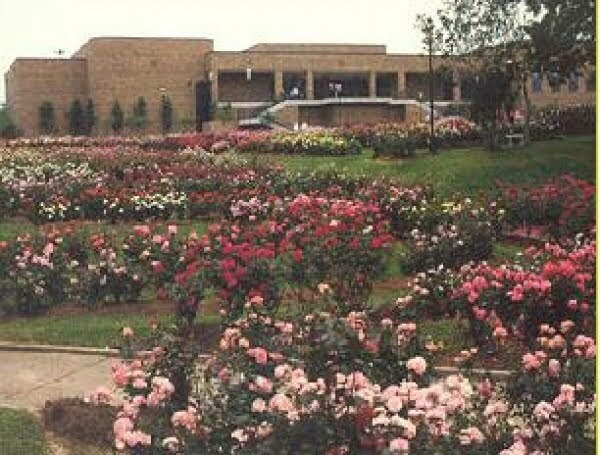 Garden at the Tyler Rose Garden. Baffled by recycling? Is composting a dirty word? Do you want to learn to live €œgreen but don’t know where to start? The answers to these questions and much more will be available at the second annual Living Green: A Sustainability Symposium to be held Saturday, Sept. 11, at the Harvey Convention Center. Cost for the day-long symposium is $5 for adults, admission is free for children under 12 and anyone with a student ID. -Demonstrations on how you can learn to sustain our planet. 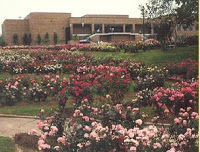 For more information please visit http://www.livinggreenintyler.com/. The next First Monday Trade Days in Canton is September 2 through September 6, 2010. 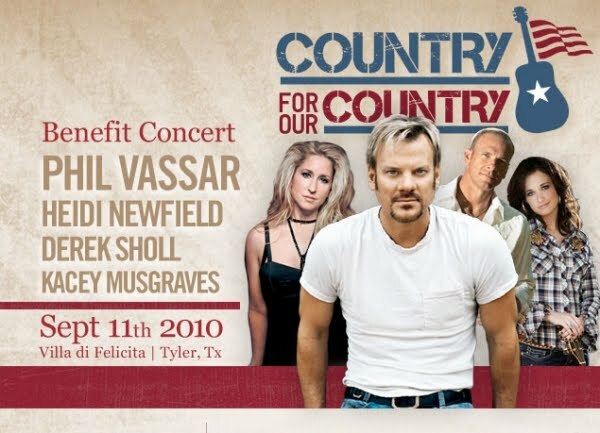 The second annual Country for our Country Benefit Concert will be a time to celebrate our local Veterans – past, present and future and honor those who serve and protect us including all of those who came to the aid of our country on 9/11. Heidi Newfield, Derek Sholl and Kacey Musgraves. This entry was posted in Uncategorized and tagged Canton Trade Days, Music in East Texas, Rosevine Inn, Tyler Civic Theatre, Tyler Museum Of Art, Tyler Things to do by admin. Bookmark the permalink.